Ansu Jupeb Programme Admission 2017/2018 session, Fees, Courses, Requirement, Academic Calendar, Admission list and Acceptance Fees. Applications are hereby invited from suitably qualified candidates for admission into the JOINT UNIVERSITY PRELIMINARY EXAMINATIONS BOARD (JUPEB) programme for 2017/2018 session. The programme leads to the award of JUPEB Certificate which enables candidates gain Direct Entry Admission into Chukwuemeka Odumegwu Ojukwu University, Anambra State and other JUPEB affiliated Universities in Nigeria and Abroad. 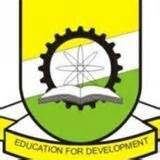 Candidates intending to apply for admission into JUPEB Programme of Chukwuemeka Odumegwu Ojukwu University are expected to have obtained five credits which must include English Language and Mathematics, at not more than two (2) sittings in either WAEC, NECO or NABTEB. Upon admission, the candidate is expected to choose only three (3) subjects relevant to the area he/ she wishes to study. The JUPEB form is obtainable at the JUPEB office, close to the TETFUND AUDITORIUM, Chukwuemeka Odumegwu Ojukwu University, Igbariam Campus, Anambra State, upon payment of N15,000 at FIDELITY BANK, Igbariam Campus, A/C NUMBER: 4010860985 and ZENITH BANK, Igbariam Campus, A/C NUMBER: 1013006001. Candidates are expected to also obtain the ONLINE APPLICATION PIN at the JUPEB office on Campus. Applicants into 2017/2018 preliminary programme are advised to be checking our website (www.coou.edu.ng/) from time to time for relevant information. The forms must be filled and submitted online immediately or within two weeks of accessing the website. Printed copies of the form should be submitted at the JUPEB office immediately after online submission. Candidates are advised to follow the Application instruction very carefully and ensure they select the Correct SUBJECT COMBINATIONS. Failure to do so may adversely affect the candidates. All candidates are required to use valid e-mail addresses and PERSONAL Telephone Numbers. All candidates are required to register for 2018 direct entry UTME during the programme. Submission of online and hard copy forms will close on 20/Dec/2017.